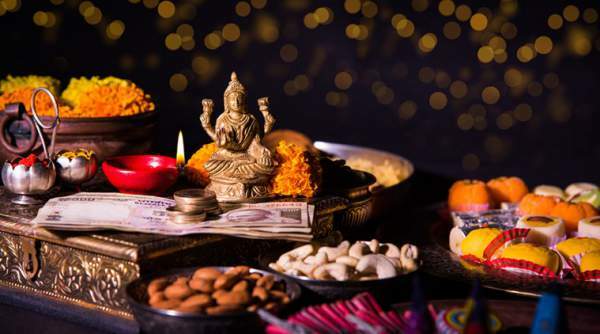 Dhanteras 2018 Puja Vidhi, Muhurat Timings, Significance, Rituals for Pradosh Kaal Pooja: The 5-day Diwali, the festival of lights starts with this day, Dhanteras. It is one of the most important festivals celebrated this time around. This year, it falls on October 19. Celebrated all over India, it is also known as Dhanatrayodashi. Dhan stands for wealth and teras means the thirteenth day of the moon cycle. It also marks the start of the Tihar festival in Nepal. It falls on the 13th day of Krishna Paksha of Hindu month of Kartik. This festival is regarded as the festival of wealth. 1.1 How is it celebrated? This is the reason why Goddess Lakshmi is worshiped on this day. People also worship God Yama. It is believed to be a special day to buy gold and silver and purchasing is considered as bringing prosperity and good luck for the family and business ventures. Not only metals but people also buy utensils and other important things which they want. Rangoli is an important part of the Hindu festivals’ celebrations. People draw beautiful rangoli designs at the entrance of their houses and offices as they believe that Maa Lakshmi visits them and brings good luck along with wealth and prosperity. They use vermillion powder (sindoor) and rice flour to draw decent footprints to mark the arrival of the goddess. The ways of celebration differ with the areas. In rural regions, people worship their cattle as they are their primary source of income. In South India, people honor cows as they believe cows are the incarnation of Goddess Lakshmi. In Maharashtra, traditional sweets named ‘Naivedya’ are popular. Lakshmi puja is performed in the evening and devotees sing devotional songs and Lakshmi Aarti. They also light tiny diyas in the house as it signifies warding off the evils. At some places, people use seven kinds of cereal to perform the pooja. In view of Lord Yama, devotees go through a tradition known as Yamadeepdan. Shubh Muhurat Timings for Dhan Teras Lakshmi Puja. According to beliefs, Lakshmi Puja should be started during pradosh kaal. This year, it will last for 2 hours and 24 minutes after sunset. Another good time for performing pooja is during the time when Lagna or rasi (sign) fixed or sthir. Hope you received the required information regarding the first day of Diwali 2018 celebrations. 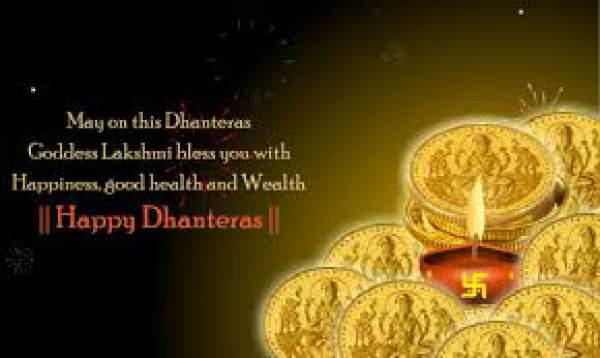 More stuff like happy dhanteras 2018 wishes, sms, Dhanteras images, messages,HDd wallpapers, etc. will be shared here on this website soon. So, stay tuned to TheReporterTimes for latest news and updates.